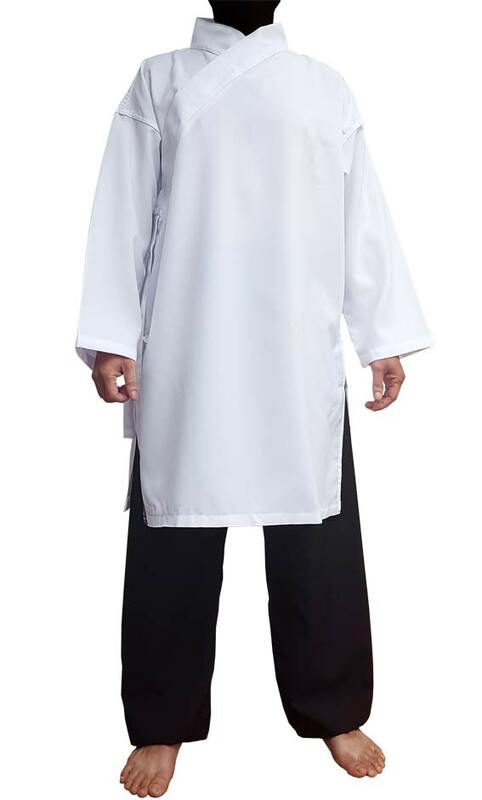 Classical Wu Dang Tai Chi uniform, microfiber fabric. White color Mid-length jacket, cross colar, comfortable cut. THE jacket tied on the right side with 3 chinese buttons and velcro band. Tight pants ankle with elastic band, elastic waist and additionnal cord. Please choose your exact size, the sizes are very comfortable.